It’s been too long since I posted here. My apologies. 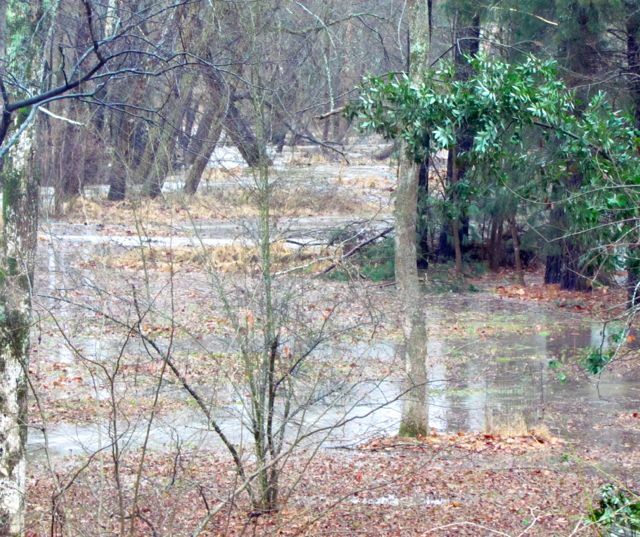 Late winter in my corner of North Carolina has been a mostly soggy mess. And as I type this, yet more rain is pouring down upon my mushy landscape. 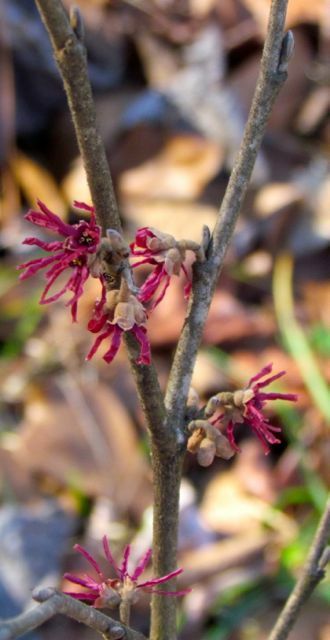 I have been posting small items regularly on the Piedmont Gardener Facebook page; if you use that social media tool, you may want to check out the photos and announcements of relevant events that I post there. As I’ve noted on the PG Facebook page, beavers have once again moved into the wetland adjacent to my creek. They have built a dam downstream and off my property, which has raised the water level in the creek so that every rain event involving more than a half-inch is causing the creek to overflow in numerous places along my property, even cutting channels into what has been a stable, flat floodplain for over 25 years. It’s a real mess, and we’re not sure what, if anything, we can do about it. The beavers are actively foraging all up and down the creek. In addition to harvesting a few saplings, they even “tasted” two of the Leyland Cypresses still standing beside the creek. To discourage them from returning, I sprayed the entire lower trunks of all the Leylands with a deer repellant spray in the hopes that it would make them taste bad enough for the beavers to ignore. So far <knock wood>, it’s working, but all this rain probably means I need to reapply the repellant. 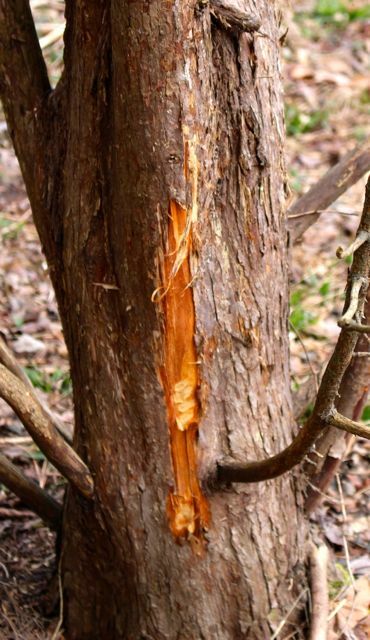 The work of Pileated Woodpeckers. But not all my landscape surprises are less than wonderful. 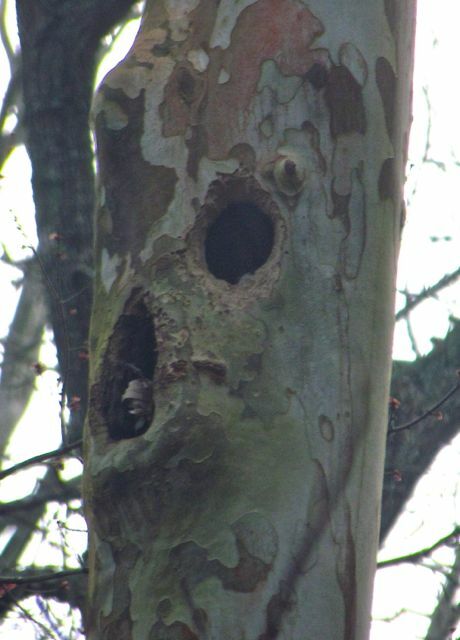 Case in point: a pair of Pileated Woodpeckers appear to have chosen a sycamore just across the creek to raise this year’s brood. 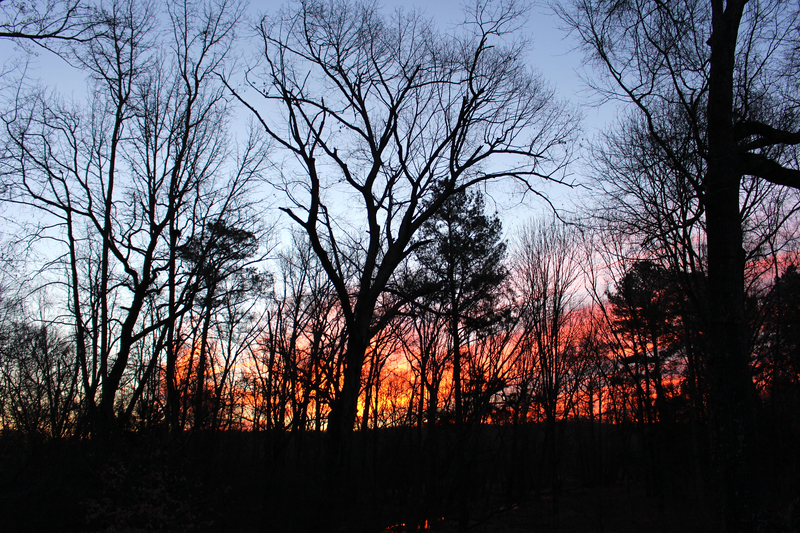 Until the forest leafs out, I can see this spot from my living room window and back deck. That’s a good thing, because when I try to walk near this tree, the woodpeckers make it clear that I am not the least bit welcome. 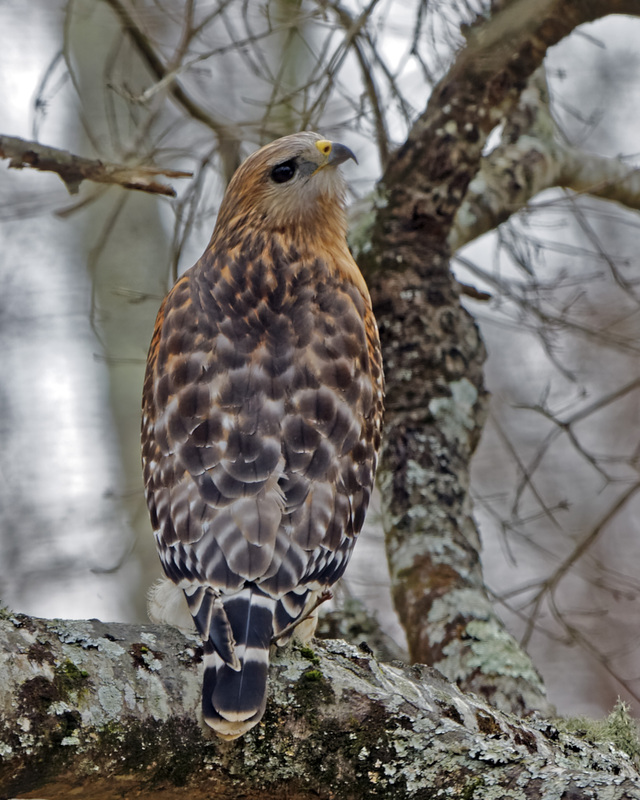 Another pair of late-winter nesters has settled in, as usual, in the wetland forest — Red-shouldered Hawks. They often lurk in the trees near our backyard bird feeders, but I haven’t seen them catch any songbirds. Frogs, salamanders, and earthworms, on the other hand, seem to be dietary staples. Wonder Spouse took that spectacular hawk photo two days ago when it decided to hunt from a tree in our backyard. He actually took the shot from inside our house. 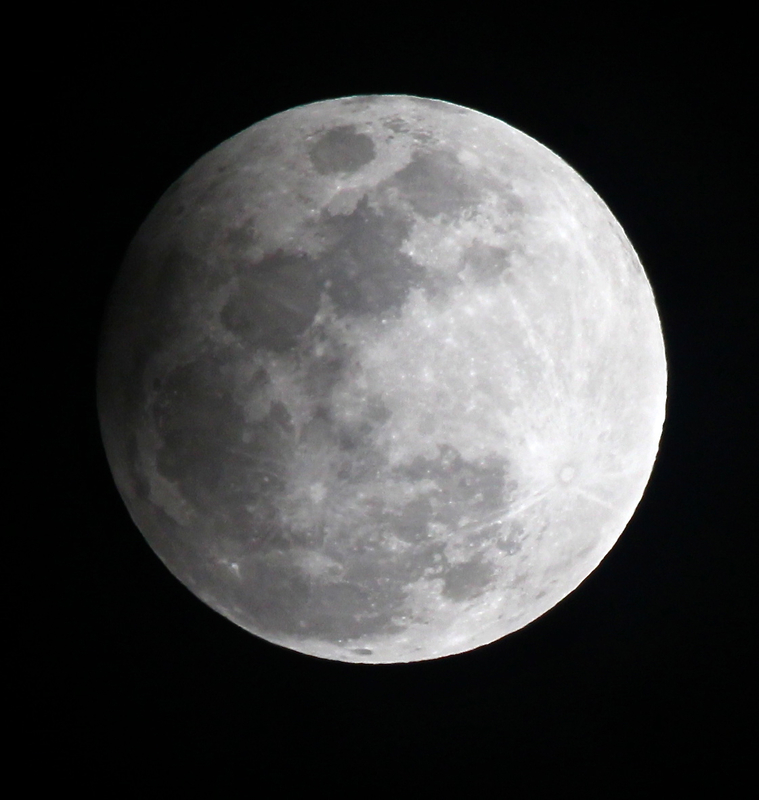 He is a wizard with his camera — and his post-processing software. Salad season can’t come soon enough! When we’ve gotten a few back-to-back days of sunshine, we’ve been hard at work preparing the vegetable garden for another season. 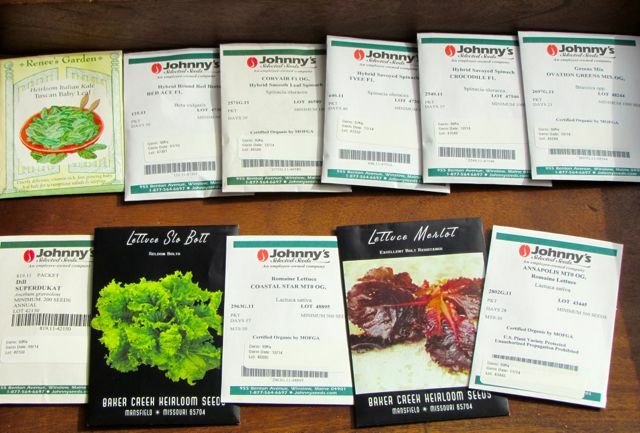 All my seeds have arrived, and last Wednesday (2-16), I sowed my first batch of greens in my germination chamber. The ones in the above photo germinated in two days! I’ll enumerate the spring garden veggie varieties I’m trying in a new post soon. 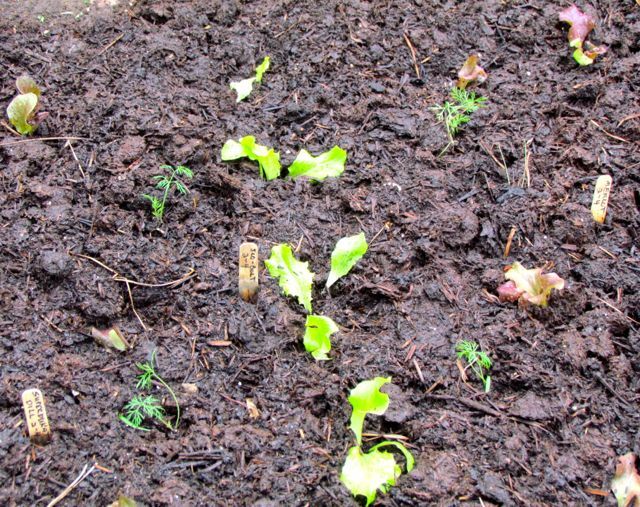 All the lettuces germinated instantly, along with baby kale and radicchio. The spinaches and parsley are only just now showing signs of germinating, which is entirely normal. When they are all well up and moved out of the germination chamber, I’ll sow another batch of spring veggies. 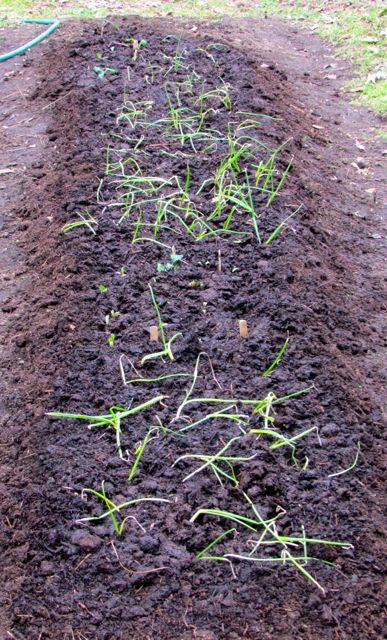 The two varieties of onion plants I ordered arrived mid-week, and I managed to get them all planted in their garden bed yesterday. 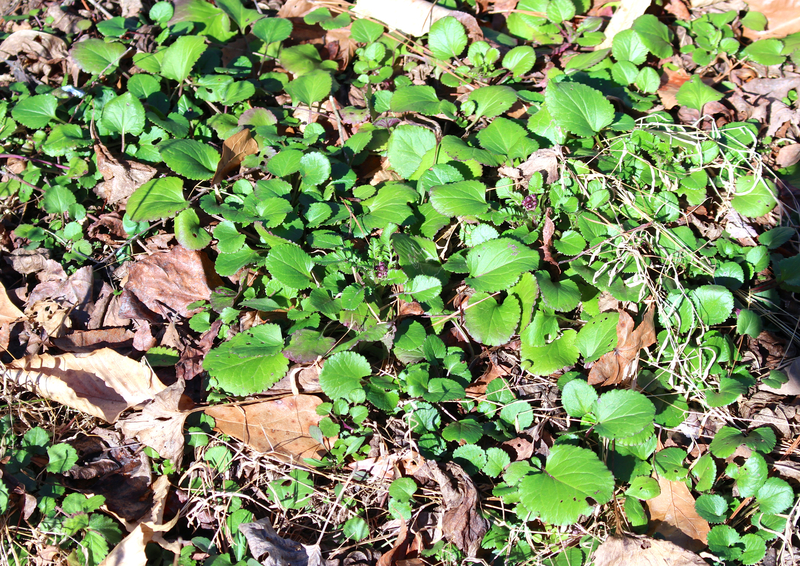 I know they don’t look like much now, but if the voles will leave them alone, we have big hopes for these. It’s always amazing how these stubby little onion starts that arrive with shriveled roots plump up in just a few weeks. I was delighted to get them planted the same week they arrived. Usually I’m not this organized and they wait a week or more. I’m hoping my efficiency will pay off in bigger bulbs. Stay tuned. 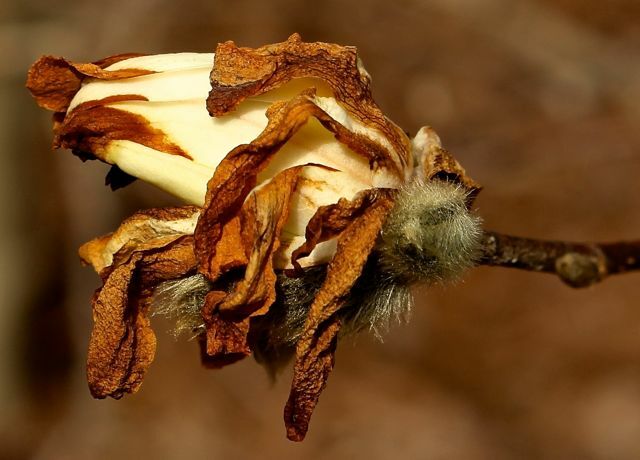 We’ve had a few bouts of deep cold and some ice — mostly freezing rain — which damaged my Magnolia stellata ‘Royal Star’ flowers. They opened too early, thanks to the absurdly warm December we had here. Fortunately, not all the buds opened before the cold, so I’m able to enjoy a round of new blooms during our current milder spell of weather. 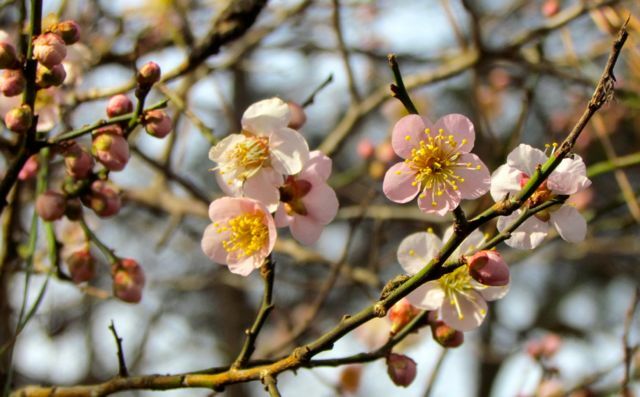 The sweet fragrance of a newly open and undamaged blossom hints at the coming of spring. 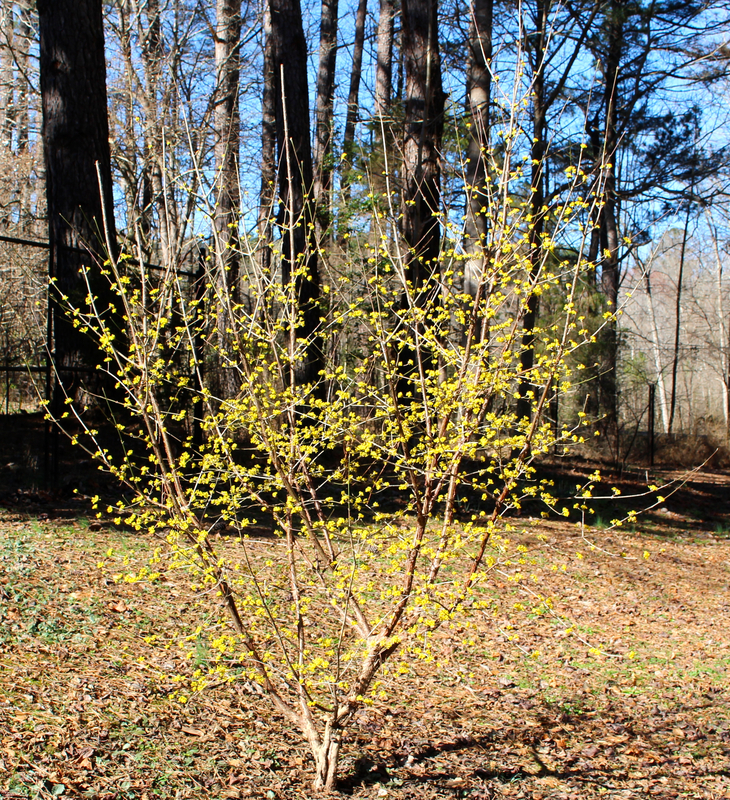 In addition to the witch hazel ‘Amethyst’ blooming well in the first photo of this post, my Cornus mas ‘Spring Glow’ trees are bursting with bright golden flowers. I’m hoping they will cross-pollinate each other this year and produce some of the red berries that give them their common name: Cornelian Cherry. I was thus heartened to see a pollinator on these flowers yesterday. 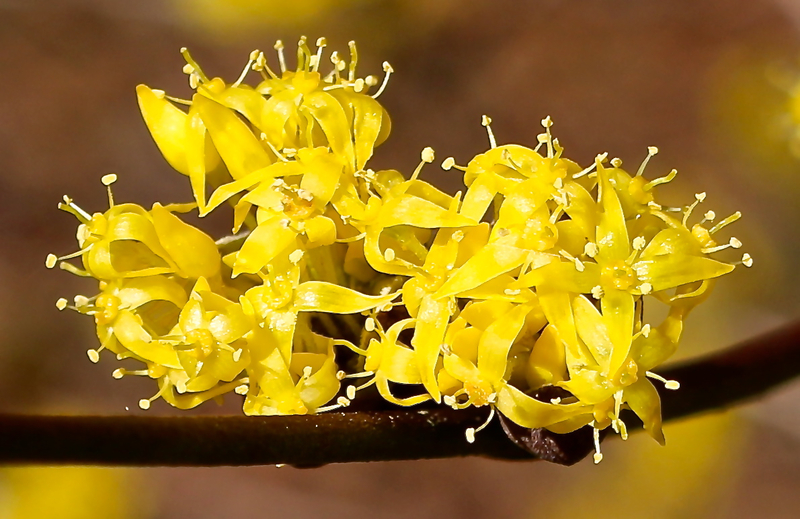 Cornus mas brightens a dull winter landscape. A pollinator already at work! 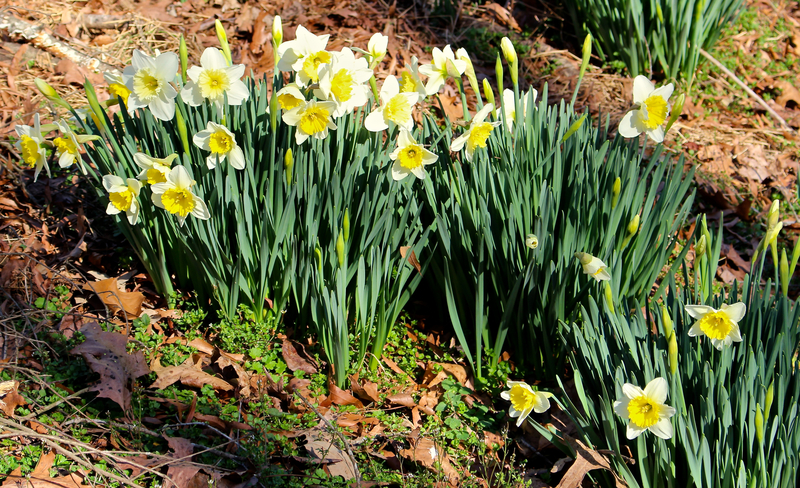 Of course, spring bulbs are well up. 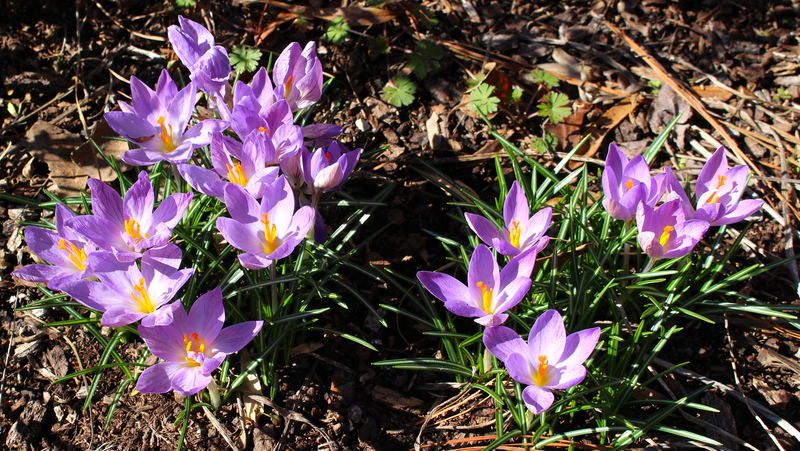 My crocuses were eaten by deer before I remembered to spray them with repellent. 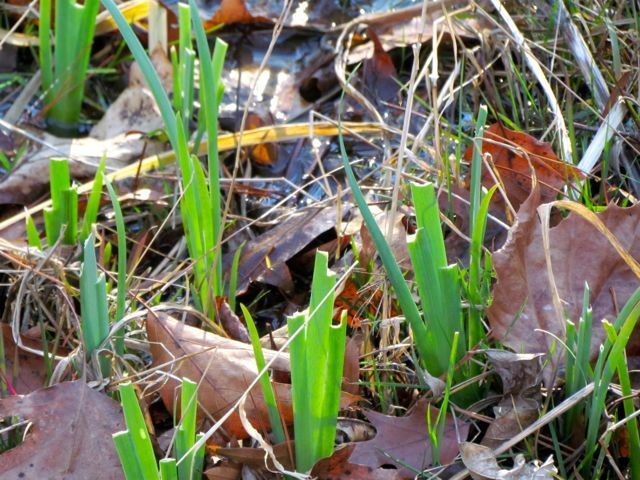 Snow drops and myriad daffodils are all loaded with buds and will soon be glowing in the landscape as it wakens from its winter slumber. Meanwhile, the lushest, greenest parts of my yard are the lichens, soft and fluffy from abundant rains. 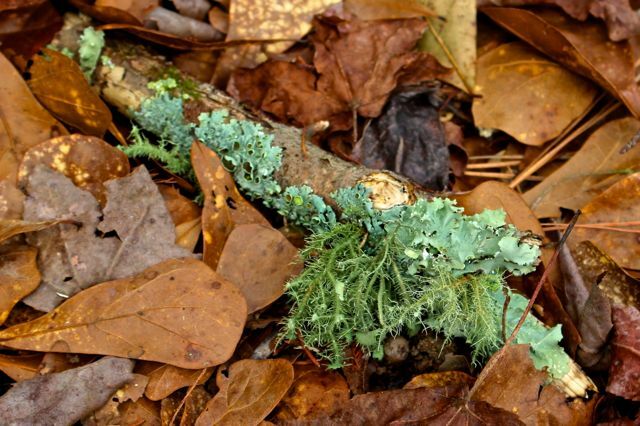 Soon spring leaves will match the greens of the lichens. Some of this year’s seed order. I have my reasons for preferring this method, but there are plenty of good reasons to plant your flower and vegetable gardens with small plants you buy locally. Today, I thought I’d go over a few of the pros and cons for each method. 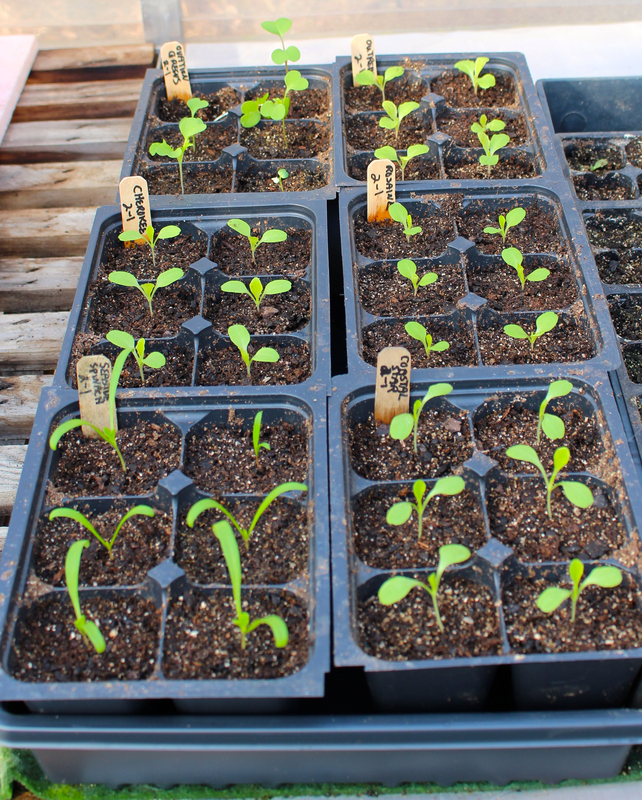 A few of the seeds of varieties I’ve successfully germinated so far this year. 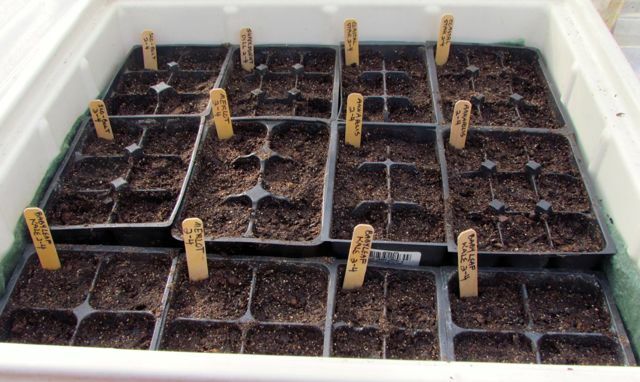 You can grow exactly the varieties you want because you order the seeds and grow them yourself. Seeds are much less expensive than plants, so you can grow more of everything. You control growing conditions for your plants from germination to transplantation in their permanent locations in your garden. The big sense of accomplishment that comes from doing it all yourself is a great feeling. 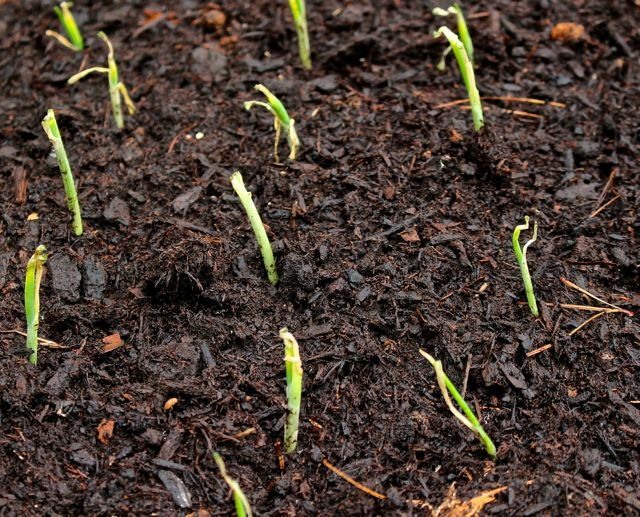 Unless you can provide optimal indoor conditions for germination, you may get poor germination rates. If you direct-sow in the garden, you are at the mercy of the weather. You can ameliorate a lack of rain with watering, but you must watch for soil crusting that can prevent seeds from emerging, and if you get a hard rain, seeds will travel remarkable distances, or disappear entirely. 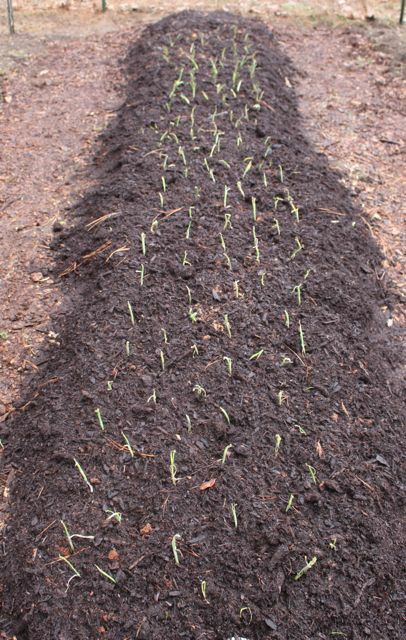 If you direct-sow in the garden, you also must watch for raids from marauding voles, and if soil temperatures are too cool or too warm, some seeds won’t germinate. From let to right: Dianthus ‘Lace Perfume,’ Italian ‘Gigante’ Parsley, Tuscan Baby Leaf Kale, and Italian Aromatic Sage seeds. 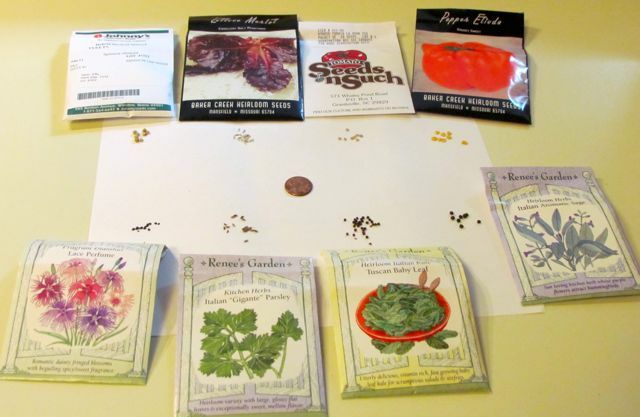 Most herb seeds, many flower seeds, and even a lot of vegetable seeds are quite small. You’ll need practice to become adept at handling them, putting them where you want them, etc. 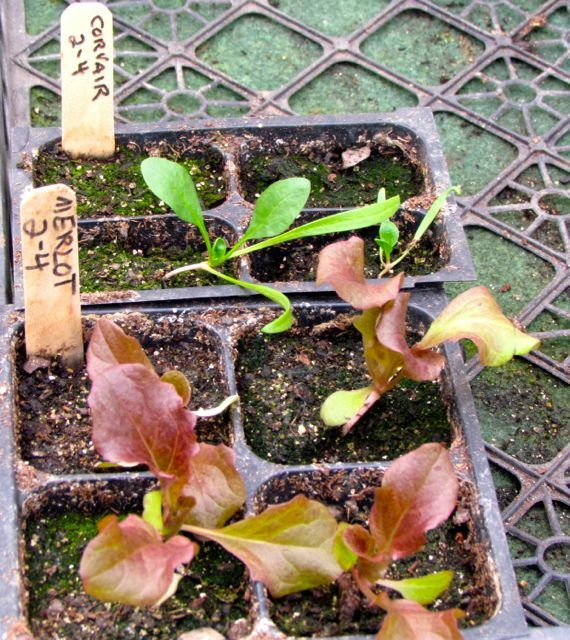 From left to right: Tyee spinach, Merlot lettuce, La Roma III tomato, and Etiuda pepper seeds (click on the image to see a larger version of the photo. Soil depth is critical when planting seeds. Many beginners plant seeds too deeply, which prevents their germination. Follow planting depth directions on the seed packets assiduously. 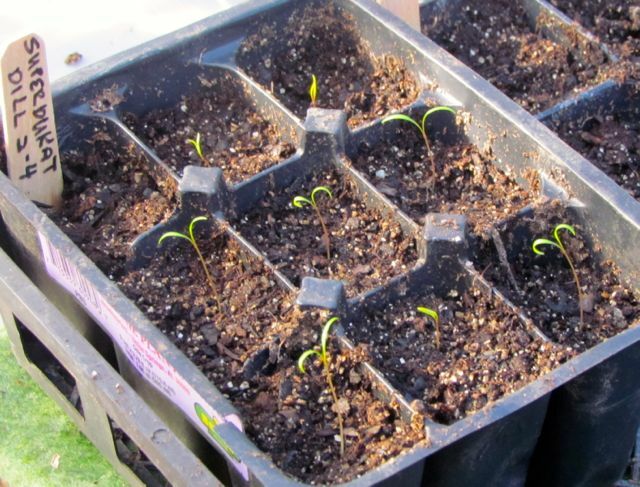 You save enormous amounts of time by not having to bother with seed germination, and transplanting and nurturing seedlings until they’re ready for your garden. 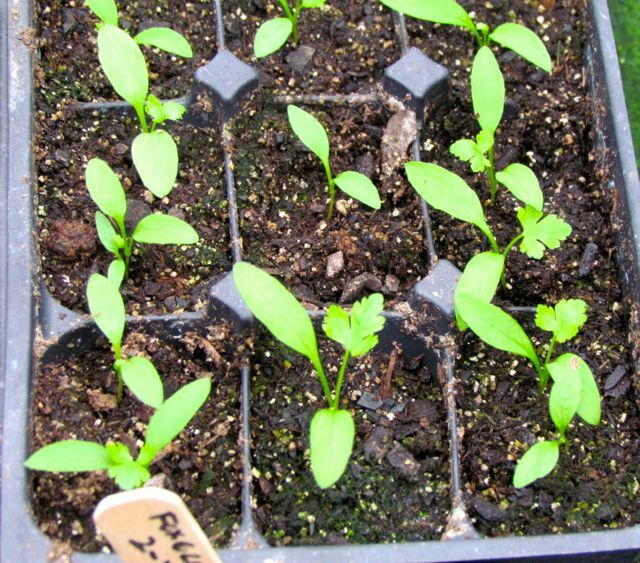 You can buy exactly the number of plants you want without spending time trying to find homes for extra plants you grew because of inaccurate guessing of seed germination rates. You can see living plants before you buy them, rather than relying on often-overflattering catalog descriptions. 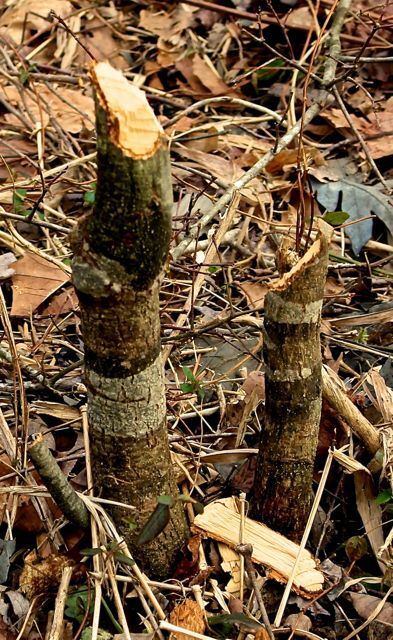 This allows you to select the sturdiest, healthiest plants with the best root systems. If you live in an area like mine, where farmers’ markets abound, you’ll be able to purchase healthy, locally grown plants ready for your garden. 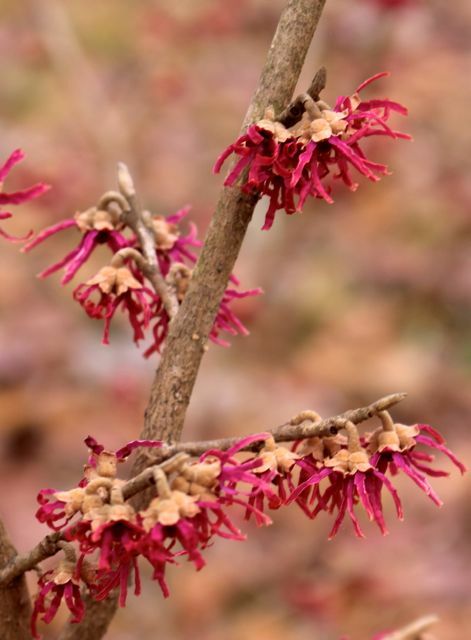 And because these folks usually sell the same varieties they grow for market, you’ll be able to choose from plants well-adapted for your area, grown by experts who love their work. And they often sell heirloom varieties of plants as well as hybrid choices. If your only option for plant starts is a big box store’s garden section, you usually won’t get great plants. These are often grown in one place and shipped all over the country, so varieties aren’t necessarily the best for your region, and are usually limited to a few choices. Also, the plants are not treated well during shipping or even in the garden section at the store. Have you ever noticed how staff at such places leave innocent plants out in conditions that are too hot and/or too cold? And how they water the poor things? Find a better local source for your plants or suffer the consequences. You don’t know if your purchased plants always grew in optimal conditions. 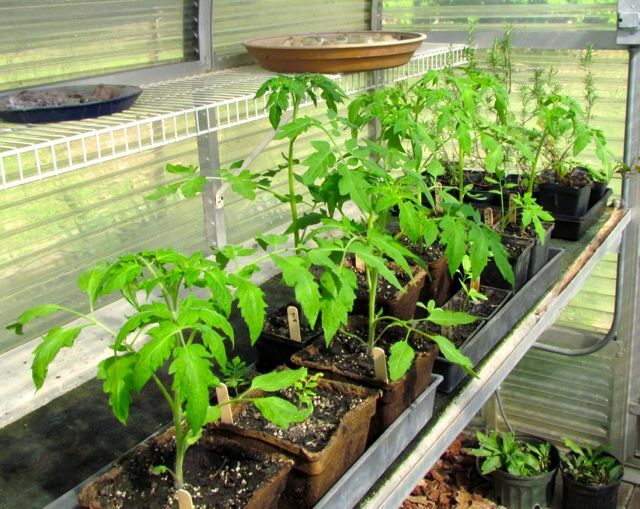 Even if they look healthy, if they were exposed to temperatures below 50 degrees, studies have shown that tomato plants are never as productive as those maintained above that temperature. Often the sizes of plants you buy are limited. Early in the season, they may all be small. Small plants don’t handle transplanting stress as well as larger ones. On the other hand, larger transplants can break during transplanting. 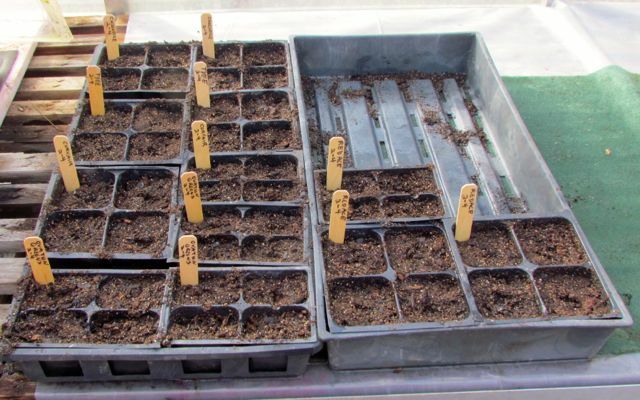 As with seed sowing, transplanting takes practice and patience to perfect. I grew these healthy tomato seedlings from seed. At this size, they require careful handling during transplantation. Buying plants is more expensive than buying seeds, and if you lose plants during transplanting, you’ll spend more money to buy replacements. Most folks will buy fewer varieties when they buy plants instead of seeds because of cost considerations. I hope this helps my fellow Piedmont gardeners as they contemplate this year’s growing season. Time, money, and experience all impact what you decide to grow. I hope this post helps you clarify how you’ll choose what to grow in your garden this year. My seed-grown Italian parsley germinated better than I anticipated. I’m going to need to be creative about finding spots for all of them. My goodness, Winter has certainly been having his way with us lately, hasn’t he? 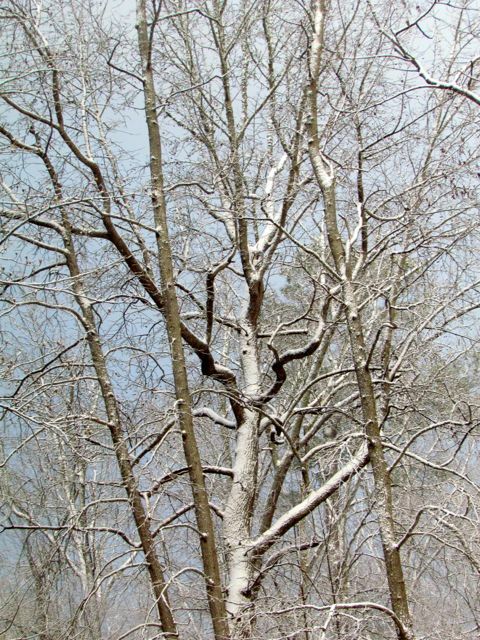 At my house, we got rounds of freezing rain and sleet, followed a day later by about a half inch of snow. 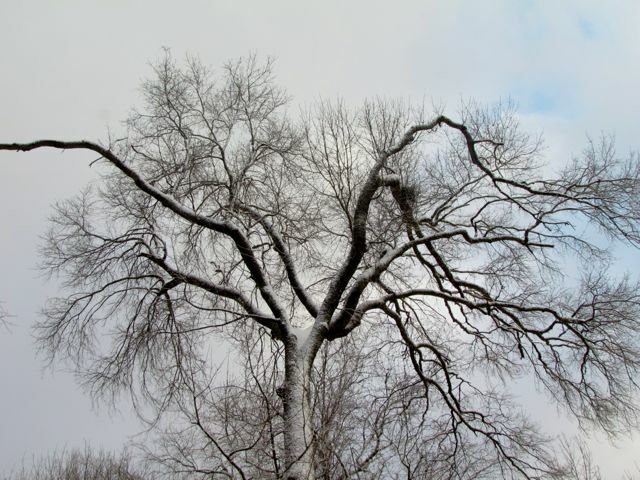 In a “normal” winter, all would have melted in short order. But this year, Siberian cold followed the precipitation. At my house, the thermometer on our hill bottomed out at 1.6 degrees Fahrenheit. No, that is not a typo. Before and after this polar low temperature, our lows and highs had remained mostly below freezing for quite some time. In our 26 years here, I don’t think the ground has ever been so thoroughly frozen. The birds are relying heavily on my feeders to battle the arctic air. We finally got a glorious 55-degree high yesterday. Wonder Spouse and I walked around the yard, slipping and sliding in that welcome mud I mentioned in the title for this piece. But the mud is the result of thawing of only maybe the top quarter-inch of the soil. Walking on this ice-hard ground, you could feel the lack of give with every step. Even on the floodplain beside our creek, which is usually squishy wet this time of year and booby-trapped with myriad mole tunnels, the ground didn’t give at all. It felt as if I were walking on sharp rocks of multiple sizes spread unevenly across the terrain. The half inch of snow came in one 45-minute burst followed by clearing skies and afternoon sun too weak to battle the arctic air. Even the deer tracks were really mud skid marks. Their hooves didn’t penetrate the frozen ground either. 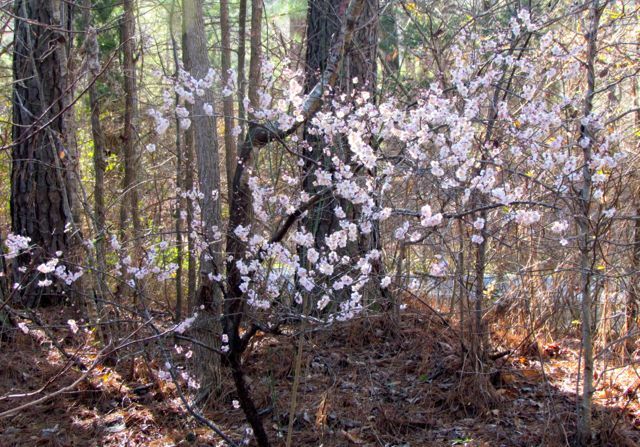 This is all bad news for southeastern Piedmont gardeners eager to plant their spring gardens. You can’t plant in frozen soil. Most years by now, my spring veggie beds would be weeded and planted. But you can’t weed frozen beds. 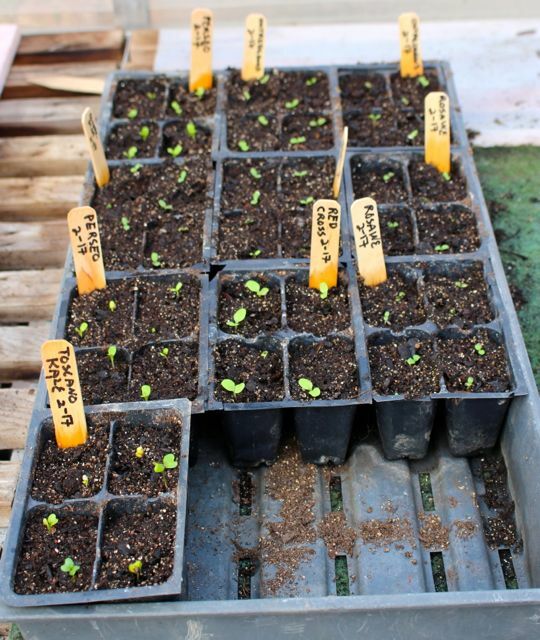 My little greenhouse is nearly full with seedlings of lettuces, spinaches, kale, beets, dill, etc. Somehow, I’m going to need to figure out how to transplant them all from their starter cells to larger pots. And then find room for all the pots in the greenhouse. This is going to get … interesting. 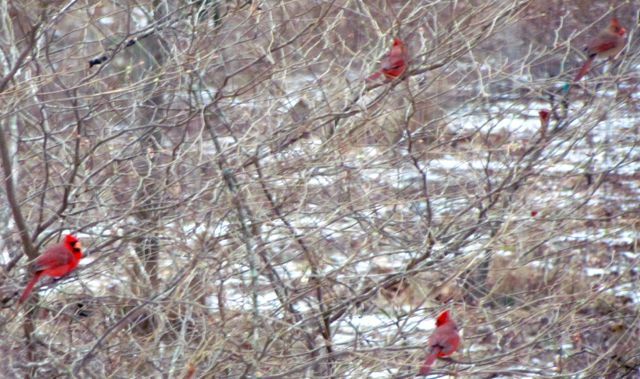 It’s not unusual during snow events to see a dozen cardinals loitering in this shrub near the feeders, waiting their turns. Yesterday’s brief warm-up (more snow is in our forecast) had me out in the greenhouse in shirtsleeves transplanting some of the cuttings I took last fall into individual pots. They were well-rooted and beyond ready for their own spaces. 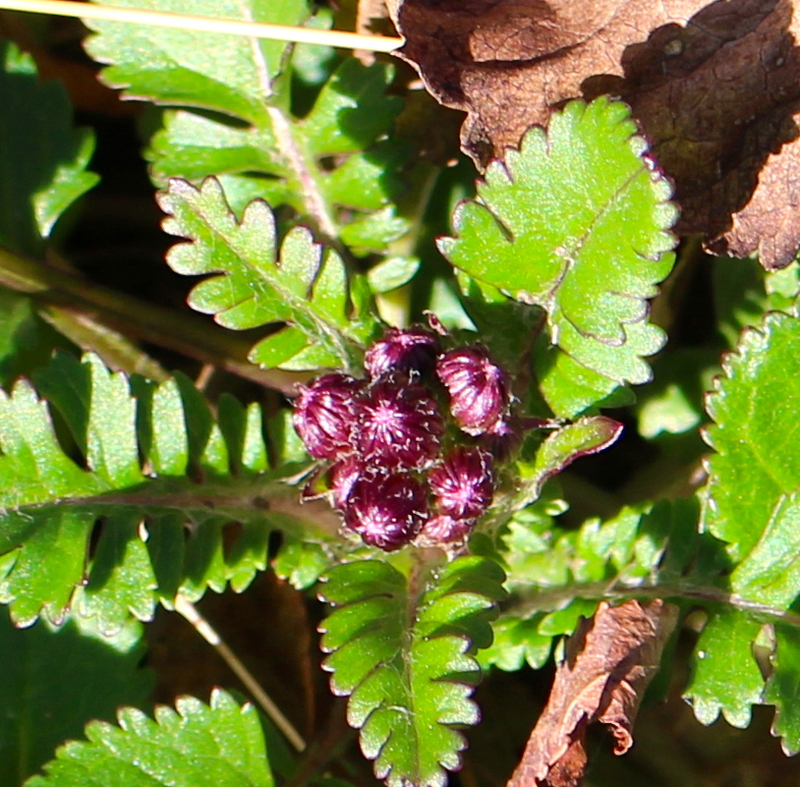 I don’t usually take cuttings of my front garden perennials in the fall. 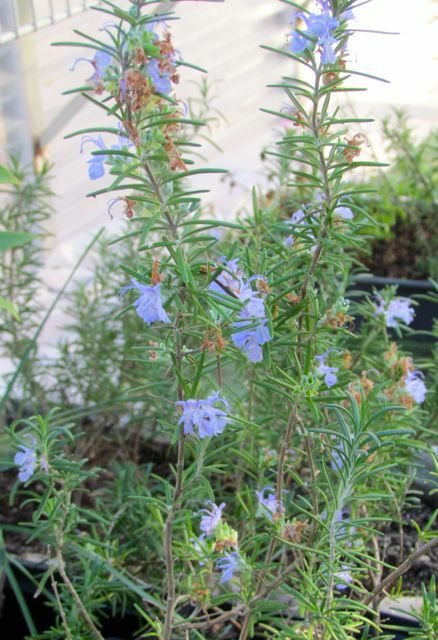 But last fall, something told me to root fresh cuttings of rosemary, several perennial salvias, verbenas, and lavender. And now I am very glad I did. The salvias and rosemaries may have been completely killed by that 1.6-degree night. They certainly aren’t looking well at the moment. Many other plants are showing cold damage too, including the large loropetalums up front. 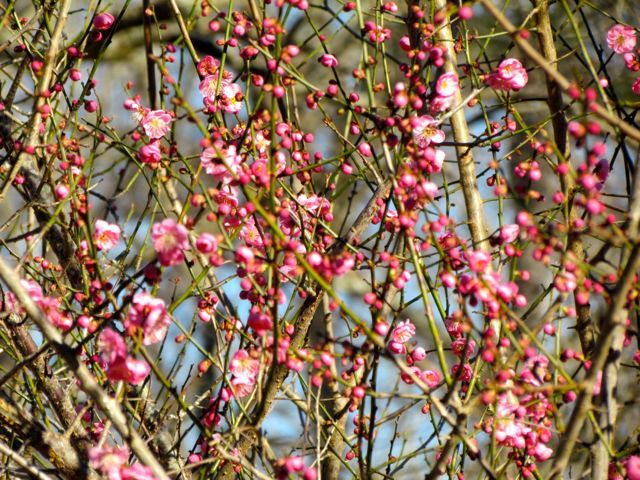 The lovely pink flowers on my flowering apricot are all soft brown, but a few tightly closed buds may yet yield more flowers, if Winter decides to loosen his grip. He can’t hold out for much longer. Soon the sun will be too strong to be denied. Meanwhile, I’ll be juggling plants in my crowded greenhouse, testing soil temperatures in my vegetable garden, and keeping my feathered friends well supplied until the insects return. Stay warm and safe, friends. 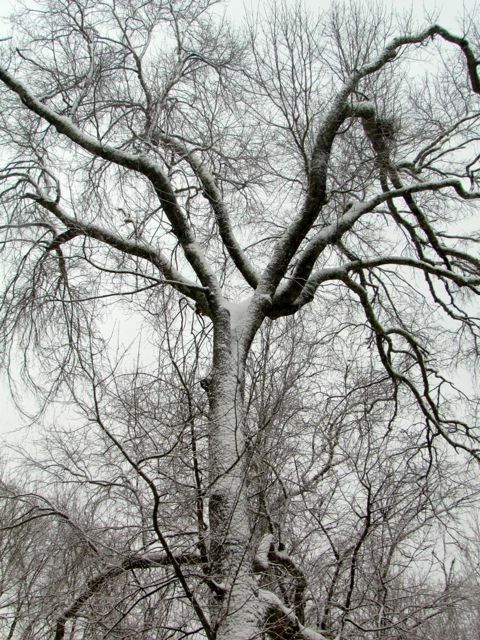 Is it just me, or has this already been the longest winter ever? Oh, sure, we get occasional very brief moments of temperatures in the upper 50s, but they’re usually accompanied by rain. And, yes, I know I’ve had it easy here in the southeastern Piedmont compared to those poor fools folks in New England currently buried under three feet of snow and counting. 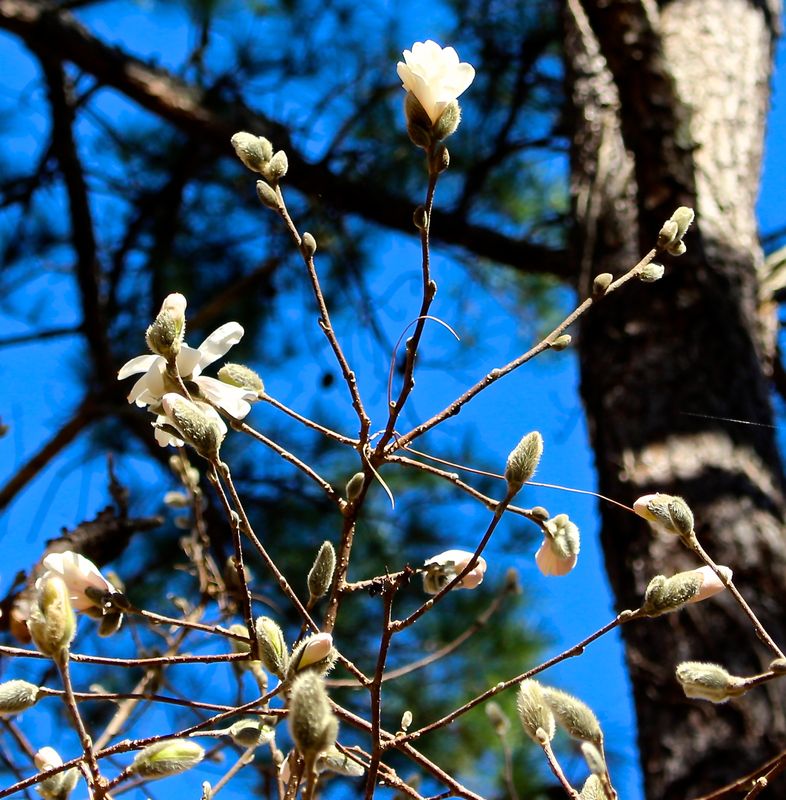 Even so, my winter-blooming plants are way behind their normal schedules. 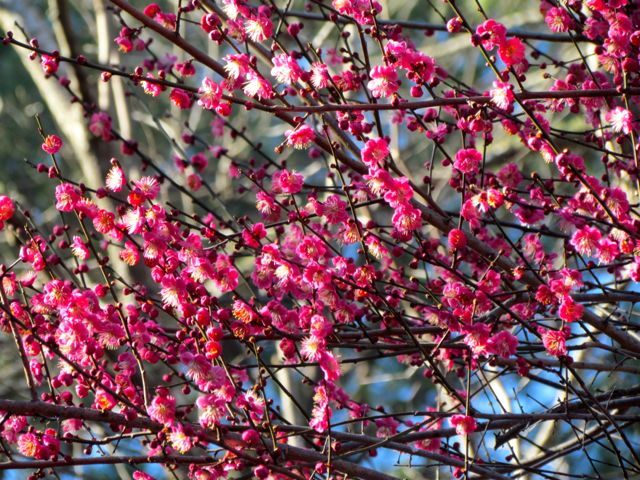 The only one currently blooming respectably is the pink flowering apricot in the above photo. My two other apricots — Peggy Clarke Senior and Junior — are only just starting to try to open a few flowers here and there. 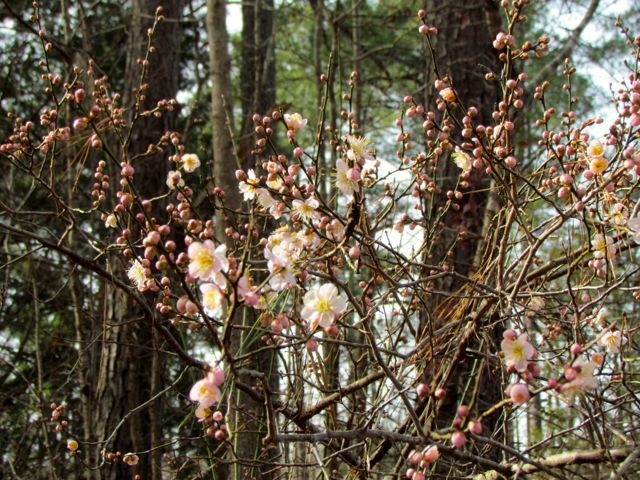 Often by this time of year, the apricots have been blooming since late December. Ditto for my January Jasmine. 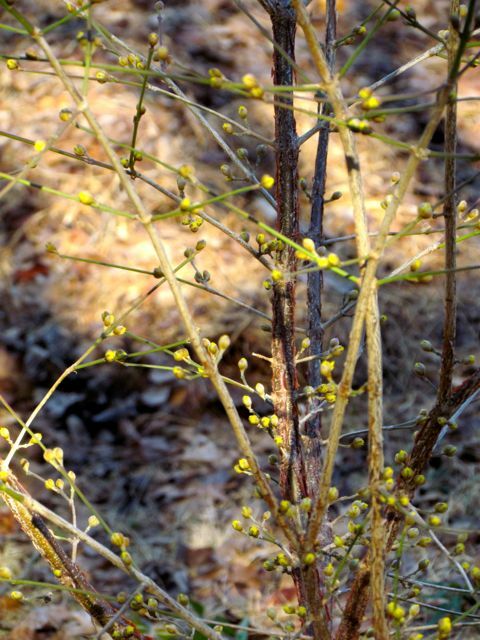 If I scrutinize the flower buds, I can see one or two showing peeks of bright yellow, but no open blooms. They didn’t make their namesake blooming month at all this year. The hellebores are also way behind. I can’t even find any flower buds showing yet. 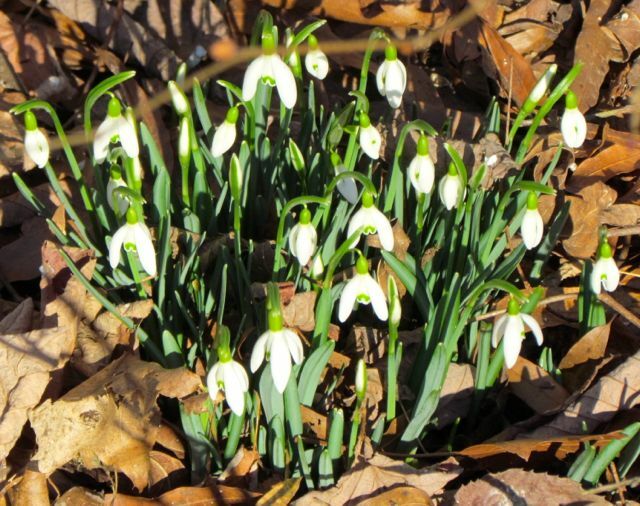 The snowdrops are just pushing up out of the soil, and so on and so forth with all my early bloomers. It’s enough to discourage any gardener. 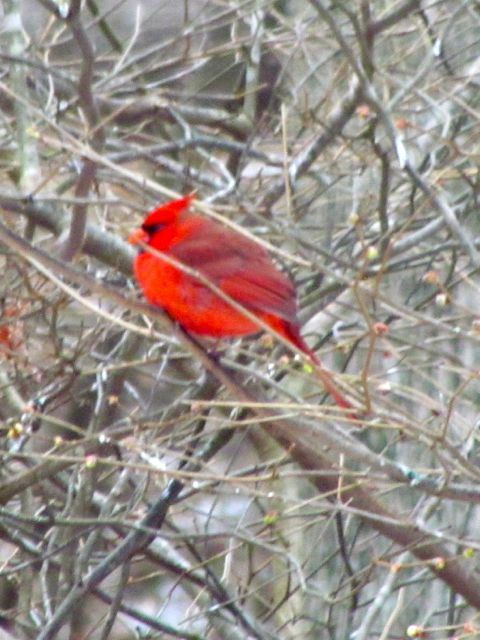 But for the last two days, suddenly my Northern Cardinals are singing again. Since autumn, they’ve been cheeping among themselves at the feeders, but now the bright scarlet males are perching in the treetops bragging about their good looks for all to hear. 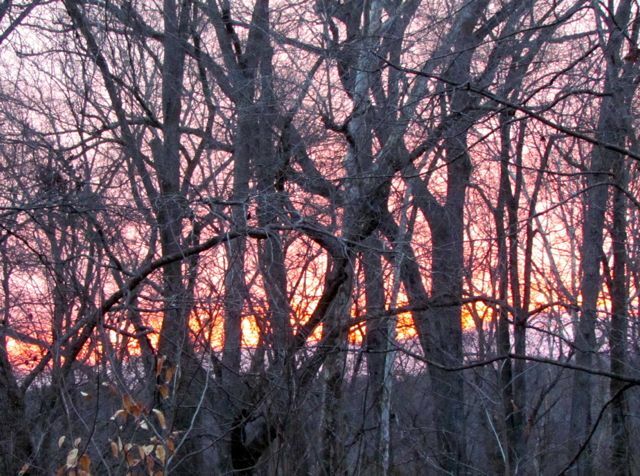 Their surge in hormonal harmonizing defies winter’s tenacious grip, and reminds me of the sun’s lengthening daily presence. So I decided to take my cue from them and start some vegetable seeds in my greenhouse yesterday during a “warm” spell. Personally, I am eager for salad season. An array of fresh-picked spring greens lightly dressed and perhaps mixed with a few other veggies, some nuts or berries or cheese — I’m salivating just writing about it. This excitement annually grips me as I survey my seed catalogs, which probably explains the assortment of seed packets I pulled out yesterday. Can’t you just taste the salads? Yes, as usual, I’ve probably gone a bit overboard. But that’s why I’ve planted some of each of these in the greenhouse now. I want to prolong salad season as long as I can. You see, the problem with spring gardening in the southeastern Piedmont is that the optimal growing conditions for these veggies can be depressingly short. Sometimes the temperatures leap into the 80s in early April and never look back. Freshly planted and nestled within the germination chamber. My plan is to grow the seedlings in the greenhouse until the nighttime temperatures stop regularly plunging into the teens. When that happens, I’ll transplant them into a garden bed, mulch them well, and cover them with a tent of the heaviest grade of spun garden fabric — the kind designed to protect plants from nighttime temperature drops. It’s a gamble, but the pay-off is totally worth it. These seeds prefer cool soil temperatures. The lettuce seeds are tucked inside the germination chamber, where the propagation mat warms them from below to raise soil temperatures just enough to enhance germination rates. The spinaches, greens, and beets are sitting in flats on the greenhouse bench beside the germination chamber. They really prefer cooler soil temperatures, so that’s what they’re getting. I’ve never tried sowing beets indoors before, but the seed packet suggested it, and my germination rates from direct sowing have always been unpredictable, so I figured I’d try it this way. Of course, I’ll be sure to let you know the results of the experiment. 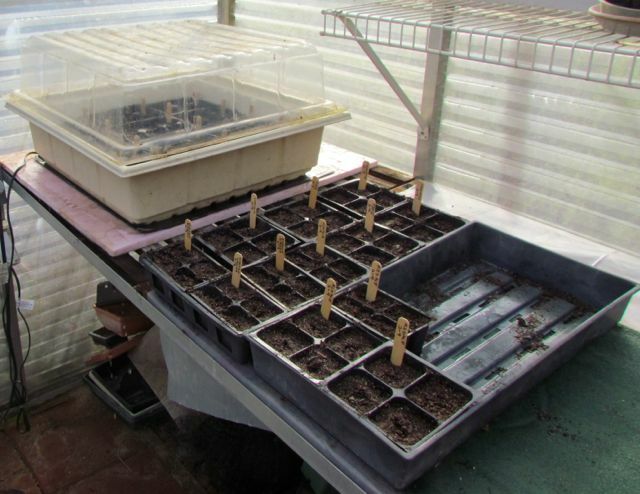 All seeds sowed, it’s time to close up the greenhouse and let them work on their defiance of winter. 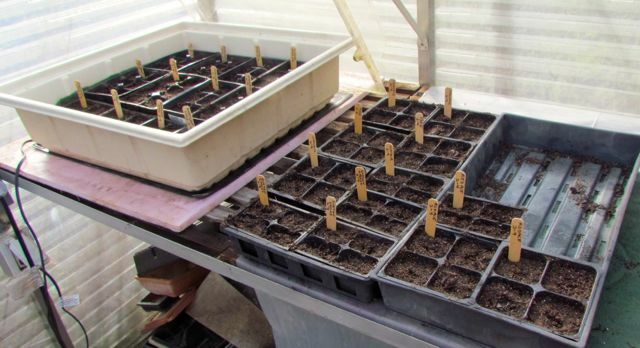 I use fresh potting soil for germination operations, and I fill all the cells and water them thoroughly before I start planting. 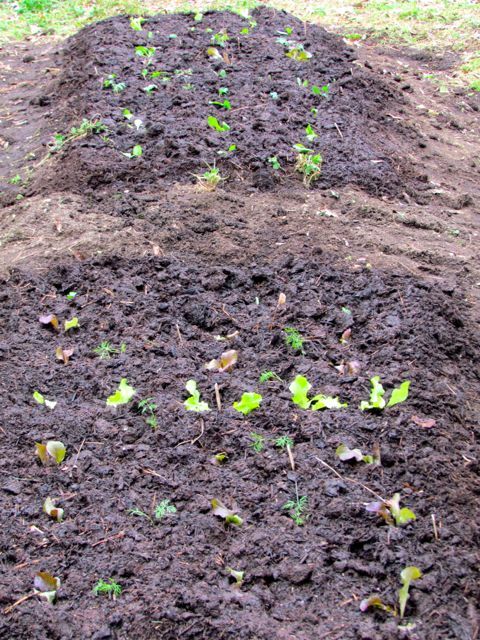 By moistening the soil before sowing, I don’t risk dislodging tiny lettuce and spinach seeds by adding water later. Lettuce seeds especially need to be just barely covered. The only way to achieve the control I want is to slide the seeds in place one at a time into the pre-moistened soil. The green fabric beneath the flats is capillary cloth; this greenhouse staple holds excess water which can be pulled up by the seedlings as they need it. It allows me to maintain more consistent growing conditions inside my little greenhouse. Sweet dreams, salads to come! The top on the heated germination chamber ensures optimal humidity and warmth for encouraging seedlings to emerge. As soon as they do, I’ll move them to a bench. The enclosed chamber is too humid to keep growing plants happy. Plus, I’ll need the space for the next round of seeds I’ll be planting in a week or two. Today, the winds are howling again, and nighttime temperatures are predicted to be in the low 20s, which translates to the mid-teens at my house. I confess I feel a bit less frustrated with winter’s tenacity, now that I’ve started my own spring revolution in my greenhouse. I encourage all my fellow Piedmont gardeners to join me in this rebellion. Let’s band together in defiance of winter’s tyranny! 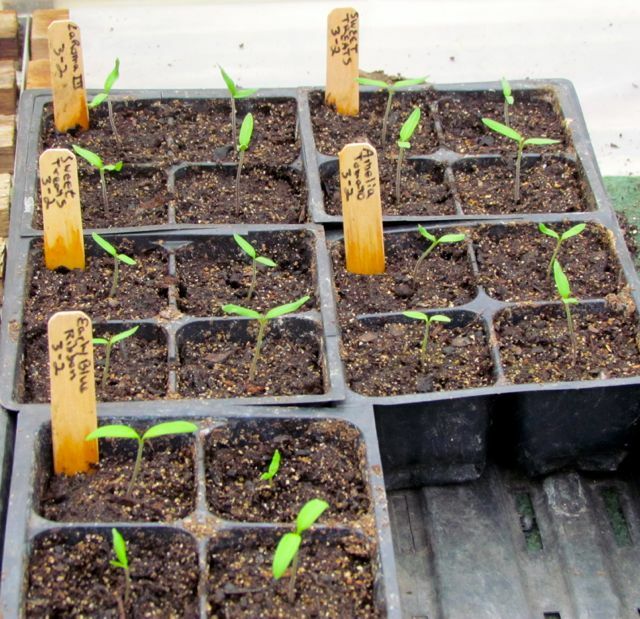 NOTE: For those interested in the germination success of the seeds I planted, I’m providing a running account on the Piedmont Gardener Facebook page. Scroll up and click on the handy link on the right side of this page to get there. You are currently browsing the archives for the Greenhouse growing category.